A trading software solution for harnessing the power of the most reliable and profitable Elliott wave pattern. 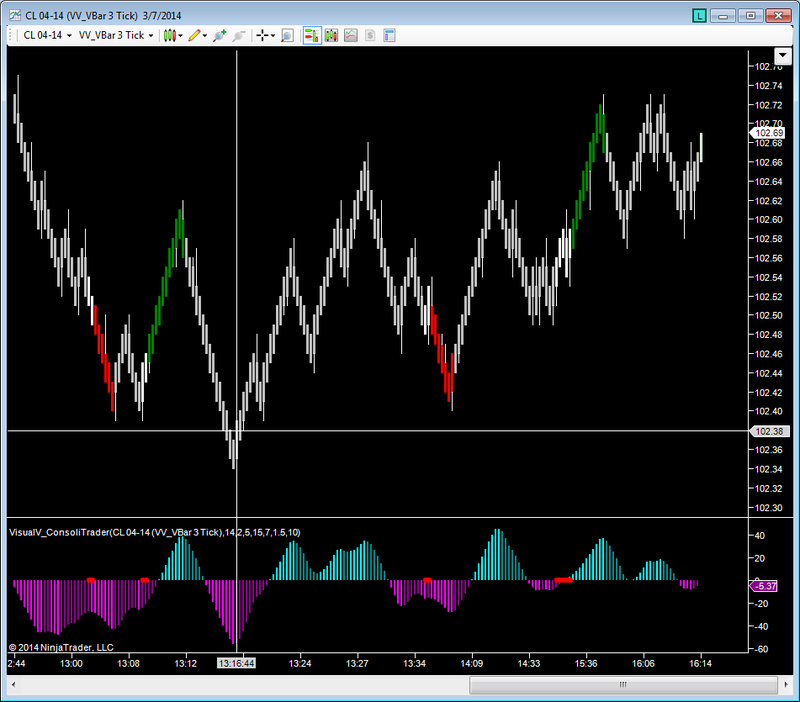 Proprietary indicators and bar types that can be used within NinjaTrader™ are also included. 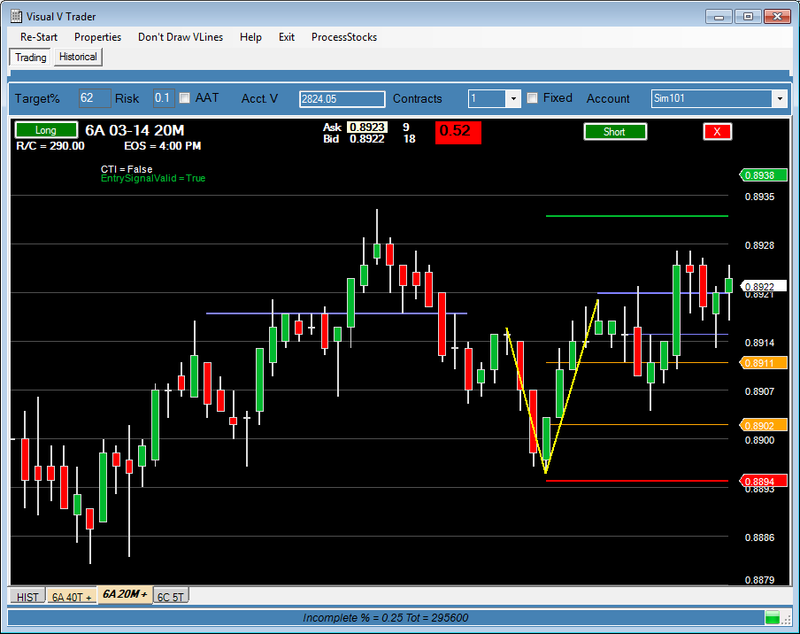 VisualVTrader software scans markets in real time. Giving the trader an opportunity to trade an alert or pass on it. Multiple symbols are searched in multiple time frames to provide only the best trading alerts possible for making profitable trades. Indicators are also provided for the trading platform NinjaTrader™ which are proprietary to VisualVTrader and provide trading opportunities and probable direction of the market.